Rob Liddle has today published an extraordinary piece in The Sun, lashing out at the ‘pretend disabled’ – a category in which he apparently includes people with conditions like fibromyalgia, or M.E. I think we should all pretend to be disabled for a month or so, claim benefits and hope this persuades the authorities to sort out the mess. None of this should come as any surprise, of course. Veteran Liddle-watchers will be aware that he’s a veritable font of terrible opinions. Liddle first hit our pages just a few months after this blog began. However, the magazine had not been able to demonstrate that the “overwhelming majority” of crime in all of the stated categories had been carried out by members of the African-Caribbean community. It was difficult to argue that the sentence in question represented purely the columnist’s opinion, which might be challenged. Instead, it was a statement of fact. As such, the Commission believed that the onus was on the magazine to ensure that it was corrected authoritatively online. It could not rely merely on the carrying of critical reaction to the piece. The Commission upheld the complaint under Clause 1 of the Code. Last November, Liddle was even referred to the Attorney General for possible contempt of court for writing a piece expressing sympathy with the murderers of Stephen Lawrence. 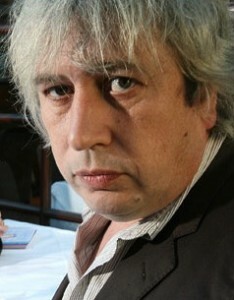 Rod Liddle is a nasty piece of work, peddling his equal-opportunities bigotry (he’ll be offensive to everyone – provided they’re different to him) to all-comers. This latest column is indeed horrible, but it’s anything but surprising. 2. NHS is crippling people. 3. Unemployment is being hidden as ‘disabled’. Come on, address the factual issues. Why are we paying billions for people who aren’t disabled? As the population ages so does the number of disabled. With advances in medical technology many people who would of died – from premature babies to car crash victims – live, but often in a state of disability. You’re not, of course. Your crusade to cripple the country with higher fees for institutionalised care (DLA saves billions) continues, however. Of course. Because science cannot be right. So, you hate disabled people because science is wrong now? Neat-o. 2. Improvements in medical technology meaning people surviving conditions that would previously have killed them, but still needing ongoing support. 3. Steady stream of soldiers coming back from Iraq and Afghanistan with missing limbs. Admittedly these suggestions are off the top of my head and unsourced, but then Liddle’s claim that the number of disabled people has doubled in ten years is also unsourced. This is a crime why has he not being arrested? It’s discrimination, it’s derogatory, it’s unacceptable. Even in the past compared to now, the percentage of time someone is disabled bar a few exceptions hasn’t increased to that extent. It’s simple. It is government fraud hiding the unemployment figures, and the government being over generous with other people’s money. Unlike yours. 225,000 of debt to be paid. How are you going to pay your fair share? Are you going to pay other people’s fair share too? Mind you, you’re not going to get your civil service pension. That’s going to go. The next generation won’t pay it, because they want some services for their taxes, not for you to live the life of riley. i think your a complete retard ! you try live a week with ME and fibromalgia !!!! http://t.co/qa08GAUO I'd be more than happy to help him keep his resolution – weasel ! i suffer from fibromyalgia since 2009,i went form being outgoing fun,hard working,devoted wife and a full of energy mum to 3 young children,i would think nothing of taking the children 3 under 3years out for long walks for miles to thebeach,i worked 12 hour shifts would cook all homecooked meal,cakes the lots.then in 2009 i woke up with a sore knee nothing to bad,the pain started to go to my hip,and i walked with a limp,and would fall over,i got very tired,pin and needles twinging all over,spasms that were so painful and felt like i was hung over..i 4got my words and would talk back tofront, i had more tests and brain scans,n lumber in my spine..i would do oddthings like put thewashing down the bog,n put the tea towel in the oven with it on,and dropped hot pans and would burn myself 2 years later i am worse and have been diagnosed with fibro..do you think im putting this on.. your welcum to have my life now, i would give anything to be myself and live my life again..mypoor children see me sick every day i no longer can walk miles with them am i can no longer cook for them…why would any one make this up..im only 36 yet i mostly feel 86.for disability money…thats a joke!!! i do not claim benefits ..my husband work full time and i now have a part time carer.i hope this ignorant man rot in hell for saying this.my illness is so hard for ppl to understand and writing this for all to see adds to ppl thinking that fibro n m.e is made up!!! ohh n i am not depressed,for i have a wonderful husband 3 gorg kids and supportive friends!! A crime? That’s one seriously frightening society you propose. That’s the quote I was drawn towards too. Assuming it’s factually correct, I’d like to hear a (plausible) explanation. I don’t think a rise in average life expectancy and breakthroughs in medical science account for such a sharp rise. I gather that it should be no surprise to anyone who visits this blog that you, as an obnoxious, shallow minded right wing bigot and troll, would object to anyone chastises those who publish degrading, false and intentionally discriminatory ravings. Go back to perfecting your goose step! Quite. Life expectancy is going up at around 1 year in 8-10. It been this way since 1830, bar two obvious blips. The plausible explanation is that governments have hidden the unemployed for political reasons labeling them as disabled. in conjunction with service support. More money gets spent with the ‘poverty industry’ giving them employment, golden pensions etc, than on the disabled. Do the ageing population and breakthroughs in medical science really account for a doubling of the figure? I’m sceptical. Careful, or you’ll be arrested for that type of comment. Perhaps it is you who should brush up on your goose step? Although I suspect it’s pretty well honed as it is.